Chapter 1 What Is Energy Healing? THE UNIVERSE IS CONSCIOUS. I first recognised this two decades ago when I began engaging a number of alternative healing techniques to overcome my own childhood trauma, trauma which was complex and deep, far too complex for traditional psychotherapy to conveniently unwind. As I engaged these techniques, which ranged from shamanic healing to rebirthing to energy healing, I noticed quick and radical changes that were very positive beginning to happen in my own life. I also noticed my own level of awareness grew, my intuition became more sharp, and I was overcome with the constant peculiar sense that the universe was conscious and aware of me. The deeper down I went exploring these alternative methods of healing, the better I felt about myself and my body, and my emotional awareness grew. I was able to eventually feel the energetic attachments between me and those who had abused me decades ago. I was then taught how to sever and release those attachments, these energetic strings that had kept me like a puppet victim for so many years no matter how much traditional therapy I did. Once those attachments were cut, I felt empowered to be free and have been on an amazing journey ever since. Energy healing works with the premise that everything in existence is made of light and has an energetic signature. This concept corresponds with the string theory in modern physics that the smallest, most basic particles of creation are oscillating and vibrating, almost like the music from the strings of a guitar. These energy signatures affect us all the time. If we are in a room that is full of joy, we feel that vibration. Similarly, if you enter a room where people have been fighting and arguing it often holds a very different energetic signature, what some might call bad vibes. What energy healing does is address those fundamental energetic signatures, even those energetic signatures from the past that can impact the present and future. We cannot change past events, but we can change the notes, the tune that those strings from the past are sending into the future. We can also change the energetic signatures of our own cells for physical healing, as well as change the energetic signatures in our emotions to change how we feel about ourselves and the world. A Magical Awakening healing session is actually quite creative from the healer’s point of view. The healer goes into a place of deep listening, allowing the Divine consciousness within the energy itself to unfold and teach the healer what needs to happen next. It is more a healing art and not a science. This also allows the healer to let go of their ego, let go of the need to fix or heal anyone. Instead, they are simply playing with numerous Divine energetic signatures the same way a musician riffs on various notes during a jazz improv session. The beauty and joy of this is often felt as much by the healer as the person being healed, though the positive healing results for the person receiving the healing are astonishing. One person whom I gave three treatments to told me it changed their life and that they no longer felt the need to be in therapy after fifteen years. Also, a Magical Awakening session can be sent to numerous people simultaneously. At Omega Institute, where I work and teach, I often give half hour long sessions to a room of twenty or more people all simultaneously, and have on rare occasion worked on as many as one hundred people at once. Energy healing at this level leads the healer into awakened states of consciousness, often being able to see karmic patterns, past life issues, and even the core spark of Divinity residing inside each person. As you learn to unwind the debris that covers that core spark, more light begins to shine outward into all aspects of your life. You also begin to realize that the universe itself is a dream, a playful dream. As a healer, you loosen, let go, laugh, and come to realize you are playing with the Divine and nothing more, that the joy of energy healing at its deepest level is simply energetic play, a game with the Divine. I do not even think of Magical Awakening healers as being practitioners as much as wizards, like the great wizard Merlin. Magical Awakening has its roots in the lineage of Merlin and the healing power of The Grail. The beauty of this system is that not only is it one of the most powerful energy healing systems I have been shown in terms of what one can accomplish with it, but it also works to free the mind of the wizard healer who uses it. Magical Awakening always requires that the wizard healer be fully present, open as a child, without preconceptions to where the healing is going to go. The wizard healer is asked to listen intuitively to the energy itself, and to play with it. Through this sense of magical play it is constantly reinforcing that the universe itself is a dream, a playful dream. We are nothing but haikus, little wonderful poems created by Divine imagination. It is through this playful dance that we realize we are nothing at all, and we then know simultaneously that we are everything. Brett Bevell is author of the books The Wizards Guide To Energy Healing, Energy Healing for Everyone, New Reiki Software for Divine Living, The Reiki Magic Guide to Self-Attunement, and Reiki For Spiritual Healing. A poet and performance artist, he is also author of America Needs a Woman President and America Needs a Buddhist President, a poem that initially aired nationwide on NPR’s All Things Considered. 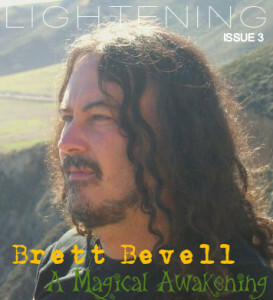 Since receiving his Reiki master initiation in 1995, Bevell has dedicated himself to discovering new Reiki techniques that work collaboratively with the higher self. These simple techniques are not only highly effective, but also shift Reiki into a practice of daily living that can transform even the most mundane aspects of our lives into works of healing. Also a spoken-word artist, Bevell has electrified audiences around the world with his live oral recitations, and he has often been compared to the late poet Allen Ginsberg. His writing has received critical acclaim from authors such as Anne Waldmen, John Perkins, and has appeared in numerous magazines, including Earth First Journal and Tricycle. Bevell’s poetry is featured on several CDs and is part of NPR’s permanent website archives. What if you woke up one morning to find that your world had completely transformed? Imagine that everything you once believed in simply makes no sense anymore: your luxurious life, your successful career, your loving partner — all of it now feels like a never-ending dream that you’ve somehow been trapped in. It’s as if you’ve been desperately trying to wake up, to swim to the surface of the water, and just cannot break through. The dream, which had originally looked as though it would be comfortable and appealing, has now become a monotonous, endless nightmare. And then, as if by magic, the ground opens, and… a hole appears. You can take the plunge and escape, not knowing where your leap will lead. Or you can choose to remain stuck in the comfortable nightmare, in familiar territory. This happened to me, in London. Like Alice I chose to go into Wonderland, down the rabbit hole, diving deep into my inner world. I didn’t know whether or where, when or how I would emerge on the other side (or even who would emerge). And by choosing to leap I embarked on the most thrilling, enchanting, challenging, expanding, romantic adventure I could possibly imagine. It has been and continues to be the adventure of a lifetime. 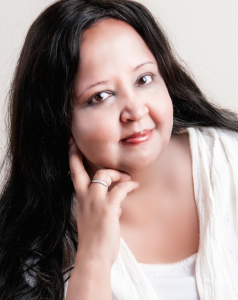 My personal spiritual journey has been full of its own dynamic twists and turns. It began in Bali, where I reconnected with my Source, my unique mastery; this is the essence of who I am and what I bring to the world. Each of us has this mastery. My own journey has enabled me to create my 7 pillars to living an extraordinary life with ease, grace and joy, where all aspects of my life can, and do, coexist. Putting these pillars into practice, my physical world changed dramatically. I was drawn to the ancient rocks and expansive skies of Western Australia. This in turn connected me to the spirits of nature and to the Milky Way galaxy. The kangaroos, emus, dolphins, mongoose, spiders, snakes and sharks, all of them became my teachers. I started communicating with the beings of the animal and plant kingdoms and began writing down the wisdom that started to flow through me. The hardiness of the Australian bush and the deep blue oceans supported me, and gave me the courage to implement what I’d received through my writings, applying the lessons in my own life. I understood that we are all magnificent beings in human disguise and that it is the human disguise that gets fractured (not the human being). All we have to do in order to connect to the magnificence in ourselves and in others is to embrace those fractures unconditionally. In my rabbit hole, I shaved my head, was headhunted to lead a global women’s network in the USA and returned to Bali via Mount Shasta in California, knowing that I was ready to receive and bring into fruition the calling of my soul. It was on Mount Shasta, on 11/11/11, that I was gifted a surprising entry into the metaphysical world of ascended masters (a world of which I was completely unaware at the time). It is a world that is now as real to me as the swimming pool I am looking at as I write these words. St. Germain, Swami Yogananda, Goddess Saraswati, Lord Shiva, Vishnu, Mother Theresa, the many Archangels and many, many other energies became regular visitors to my meditations and shared a whole new depth of wisdom with me. They gave me the practical processes, steps and actions to take to transform, heal and release all that is no longer in service to our highest good. My health transformed within a very short time. Parasites were gone, thyroid function returned to normal, irregular heartbeats normalized, high blood pressure was no longer an issue, type 2 diabetes disappeared, hormonal imbalance normalized and all other related disorders settled down. I received a series of practices, meditations and vibration recalibration games that brought my world into alignment. When I arrived in Bali along with my entourage of friends, guides and mentors from the metaphysical world, I received the mission of my soul. It is: “To expect and accept miracles, and to have them become the norm.” I also received that a miracle is when something beautiful occurs that makes my heart sing. As I remained true to my Source, implementing the calling of my soul, I entered my own Palace of Extraordinary Miracles, The PoEM. Miracles take place with the click of a finger, in the blink of an eye — that is the divine blessing I experience now. The miracles are there, in each moment. Now is the time to complete all that heals the past, because what is required as the planet activates into its new planetary grid has different frequencies, different healing vibrations and different resonances that weren’t available or accessible to us before. As healers, we’ve already stepped into the calling of our souls, to play our part in the healing of humanity, of the beings on this planet, and of the planet itself. And we’ve done it, it has been achieved, mission accomplished! The planet is now in its new frequency. And that new frequency now requires that we shut off any attachment to the ways we knew. So my invitation is to begin with your own self-healing, releasing yourself from attachments, reclaiming your original intention for becoming a healer in the first place, and stepping forth with a resolve to provide your unique capacity to heal, recalibrate and retune. We’ve moved for the first time into the energies of the New Earth. We’ve shifted from the energies of command, control and competition into the 2016 vibrations of collaboration, cooperation, co-creation, coexistence, certainty, choice and charm. I invite you to leap up onto your surfboard and ride this wave! And I willingly and openly make myself available to support you, with grace and in collaboration with masters from this plane and beyond. Formerly a high-flying executive and pragmatic serial entrepreneur in Europe, Asia and Australia, beginning in 2010 Mynoo Maryel (fka Mynoo Blackbyrn) experienced a series of spiritual awakenings and connected with the true mission of her soul. She entered periods of silence, during which what she now calls “downloads” — profound wisdom about restoring miracles, childlike wonder and sublime well-being to our lives — were revealed to her. She then undertook for herself what has now become The Journey Into Miracles(sm), actively applied the received wisdom to her own life and transformed, almost beyond recognition. Her own inner guidance has become her guru and guidestar, and her Journeys, for herself and with others, have been expanding ever since. Mynoo is now the founder and visionary for The PoEM (The Palace of Extraordinary Miracles), a movement dedicated to making miracles the new norm. The PoEM’s initiatives include transformational media, vitality and wellness programming, lifestyle products and services and eco-luxury resort and retreat development. 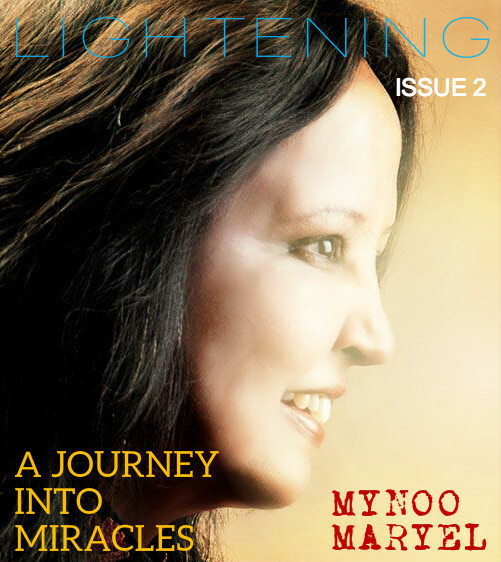 It is Mynoo’s great joy to share what she has learned with the world, inspiring others to discover and refine their own inner guidance and trust that it is their best teacher ever, the “guru” they have long been waiting for. That trust in turn opens the way to a life full of miracles — those beautiful and awe-inspiring experiences that make our hearts sing, fill us with gratitude, and bring us truly alive. A 13 month-old toddler wobbles towards the side of the road, just as a car approaches. “Toby! Stop!” his mother screams as she runs towards him. In that moment before he breaks into tears, the child freezes, his breath trapped in his chest. It’s a moment his being will never forget. Each trauma we experience makes us contract, the reaction becoming a habit until as adults we become used to denying our body a full and free breath. Even a small rise in tension is enough to make it short and incomplete. Yet our breath is our most important bodily function. 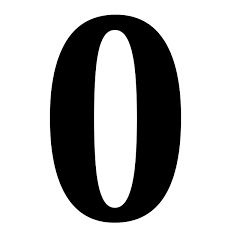 Without it we are brain dead in just ten minutes. In fact our brain consumes as much as 20-25% of our oxygen intake, and over the last 200 years, since the industrial revolution, we have steadily diminished the supply due to pollution, lack of exercise, and living in closed, air-conditioned environments. Our air quality has become so bad that in hospitals, the very place where health should be protected and restored, we now contract mysterious illnesses we have never seen before due to the lack of plain old ‘fresh air’. The truth is, Breath is the greatest gift we never received. My life is a joy because I travel the world and teach The Alchemy of Breath. Day after day I witness what happens for those who are prepared to explore the simple practice of breathing consciously. I have seen lives change direction in a day, marriages revived, addictions abandoned and depression defeated. What is it about conscious breathing that makes life change so quickly? I believe it to be information. When we breathe consciously, its not just the oxygen supply we increase, it’s also what comes with it. There are three ways that conscious breathing can make a difference to our health; physical, psychic, and spiritual. Let us start with the physical body. The more we research oxygen, the more we become aware of its benefits. Many diseases cannot survive in an oxygenated environment. Recovery time from serious surgery has been cut enormously by using simple conscious breathing practices. Likewise, we are developing diagnostic techniques that use the breath as the information source. Cancer can be detected in the exhale, imminent heart attack can be revealed by breath analysis, and of course for those who drink and drive, they are well aware that alcohol levels have been easily determined by examination of the exhale for over 50 years! Diagnosis as a whole is set to change over the next 5 years as a result of the understanding the Breath. It will become instant and non-invasive, as the information required is already there, in our exhale. Google ‘breath’ and ‘detox’ and see the myriad of information about how to use the Breath for cleansing the system! If we consider our psyche, and the example I used at the top of this article, we have found that by using the Breath we can release trauma that has been embedded in the body for a life time. The ‘freeze, flight or fight’ reaction to traumatic impact embeds or archives the event in our body and our psyche. The loss of breath associated with trauma ensures that the memory is stuck deep inside our awareness, and thus we are easily ‘triggered’ or re-minded of the trauma in later life by outside circumstances. In order to make life more bearable, we develop coping systems that protect us from the fear of aggression or trauma, and these systems then become the shell or the shield we hide behind for safety. We lose our self-confidence and freedom of expression. Our relationship with the unknown becomes fearful, and we learn to accept a life with limited potential. We may idealise hero’s and celebrities on the outside, but inside we are dominated by limiting core beliefs that tell us we are not good enough, we don’t deserve love, or we do not belong. The simple act of breathing consciously shows us a different story. Each free and full breath opens the veils of protection, strengthens our trust in the beauty of life, and restores our self-belief. Now if we consider the Breath in a spiritual context, let us look at the word ‘inspire’, the origins of which are to imbibe spirit (in-spirit). The dictionary of etymology (or word origins) tells us c. 1300, “immediate influence of God or a god. For those who are greedy for spiritual uplift, Breathwork is an instant way to import information from the higher realms. As we learn to breath openly and fully, keeping each cycle of breath connected to the next, we breath into new levels of trust. Once the obstacles of trauma and the mind are out of the way, and with a regular breathing practice, this new spiritual access becomes embodied, providing us with a very clear understanding that we are spiritual beings above all, and even though our journey on this material planet may be challenging at times, by simply using the Breath we can reconnect and re-pair with our true purpose. What seemed like problems in the past take an entirely new perspective. The trauma that has limited our lives is dissolved, and we are permitted unlimited spiritual alertness. Many times after a Breathwork session I am told “I finally understand what God is.” Or, “Now I know God is everywhere, as inside as outside.” Our connection to the divine is re-stored, and we are gifted with the knowing that duality is but an illusion after all. The inner peace that comes with this awareness is a salve to the soul. I have identified here the three levels of the breath, how it reaches our deepest subconscious through our physical body, and connects us with the higher realms. When these three levels are connected and aligned, miracles are normal. Just as when our chakra are aligned, instant healing takes place, and permanent insights replace the impermanent concepts and notions we have clung to in the past – revealed as mere illusions that have limited our relationship with life itself. In The Training, a one year journey with The Alchemy of Breath, we focus not just on the experiential value of a Breathwork Session, but also on what happens between the sessions. How can we best integrate this new awareness into our daily lives? We use inquiry, Alchemy Meditation, exercises, and group support to unravel the tight knots we have learned to carry inside, and dismantle the old and rusty architecture that has held us back in life. The Training is also designed to bring the student to Practitioner level, and can be supplemented to become a Trainer as well. But perhaps most important of all is the understanding that we cannot provide Healing for someone else. We can only work on ourselves, and by accepting this as our truth, then we can be alongside others in their healing journey, enabling and supporting them in their own empowerment, reassuring them that our presence cannot be shaken. Healing is not just a process but a state of being, each moment offering us the choice to renew and regenerate. My own journey to breathwork was sequential, beginning as a young man. I remember as a ten year old, when a friend handed me a paper bag and said “Breathe into that for a minute, deep long breaths.” I did as I was told and in seconds I had collapsed and ‘saw stars’. I became a father at 18 years old, and learned and coached my wife in the LeBoyer technique over the pregnancy, which contributed to a painless natural birth of my son. Over the ensuing years I explored many breath practices, including Pranayama, Sufi Breathing, Holotropic Breathwork and Rebirthing. But it was a near death experience that finally strung all these experiences together, when I lay in bed for three months in the paralysis of pain. Breathing was all that was left. My mind sought escape. What must I learn to end the hell? But it was the Breath that gave me the support I needed to let everything fall to pieces, all the ideas and constructs of who I thought I was. I saw the emptiness inside the success I had achieved, and I learned to turn around to look at what I feared most in my life. By finding the dark hole in the centre of my fear – not with steeliness or resolve, but with softness and surrender – I had found a portal. What seemed the end became a new beginning, and the richness of life that I had never yet seen was shown to me. Then I knew what I had to do. Each inhale is the embrace of life, and each exhale is the letting go. Each inhale is an opportunity to absorb the new, and each exhale the chance to let go of what no longer serves us. There was no way I could refuse the call, and even today as I facilitate groups of up to 200 people, it is easy to see those who are called to be facilitators. There is no greater gift than to bear witness to the transformation of the human soul. If you feel the call, then you are called. We can be the change we want to see, one breath at a time. 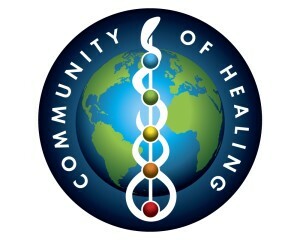 Anthony Abbagnano is the founder of The Community of Healing, an international organisation that promotes the union of Western medicine with all other healing modalities. He is also the founder of the ARK foundation in Bali Indonesia, a centre dedicated to community health and growth of consciousness. With 8 years of personal daily breathing practice, Antonio has explored many different styles of the breath, including LeBoyer, Holotropic, Transformational, Sufi Breathing, and Pranayama. 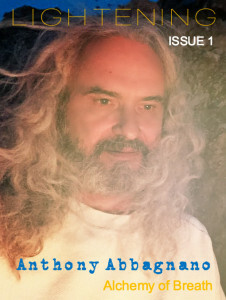 As a result of his own healing journey, including the survival and transformation from a near death health crisis, Anthony holds tender space for the depth some need in their own healing path as well as supporting the celebration of joy and ecstasy that a breathwork practice promotes. Now a Clarity Breathwork practitioner, Anthony brings his life experiences of Motivational Speaking, Clinical Hypnotherapy, Bodytalk™ Therapy, Conscious Loving and Conscious Living Life Coaching (Hendricks Institute) to the practice. He also incorporates Sound Medicine and Aromatherapy into his Breathwork practice. Living in Europe during the summer months and on the island of Bali the rest of the year, Anthony has created The Alchemy of Breath group workshops and private sessions. The Alchemy of Breath is a member of The Community of Healing.